What do we need?, and why? 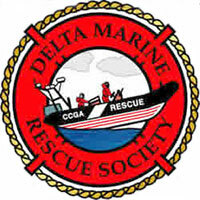 The DMRS supports the Royal Canadian Marine Search and Rescue Station 8 – Delta. RCM-SAR stations receive minimal reimbursement from the government for training fuel expenses, and emergency response. Funds for all vessels and equipment, as well as vessel operating costs must be raised by the societies supporting the units from their local communities. We have been fortunate to have applied for, and received Direct Access community grants for Public Safety from BC Gaming. Marine Search and Rescue operations and training take a constant toll on the rescue boat, it’s equipment, and the safety equipment of the crews. Constant maintenance, upgrading and replacement of the boat, safety, communications, medical and navigational equipment is necessary to ensure the safety of the crews and the continued availability of this life-saving resource. Crews try to train on the water, a minimum of two to five hours per week in order to provide basic training for new members, enhance skills of experienced crew, and keep the teams sharp and ready to respond safely in all conditions. It costs an average of $2,000 to properly equip a SAR crew-person. A properly equipped rescue boat can cost upwards of $450,000., and the engines will have to be replaced twice during the lifetime of the boat, at a cost of $50,000+. We also need to purchase boating safety supplies and educational materials to educate boaters, hunters and fishermen, so they have less chance of calling on the Search and Rescue system. We need your donations, whether you donate funds directly or contribute services, supplies or contribute prizes and silent auction items for our fund-raisers. Donate securely on-line using CanadaHelps, or for our mailing address to send a donation please go to our Contacts page. A tax receipt will be issued for donations to the DMRS. We also need your time. The DMRS currently relies on the SAR and Boating Safety members of Station-8. We need community volunteers to help run the society so the Unit members, who are already contributing their time to Unit operations, do not get burnt out. Skills in marketing, fund-raising, business and law are also a great asset. Your contribution will help save lives at sea.